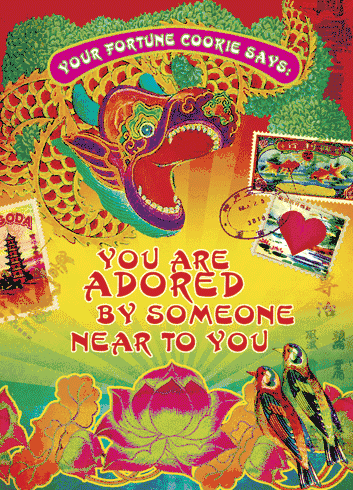 Outside: Your fortune cookie says: you are adored by someone near to you. Inside: That would be me! With lots of love.